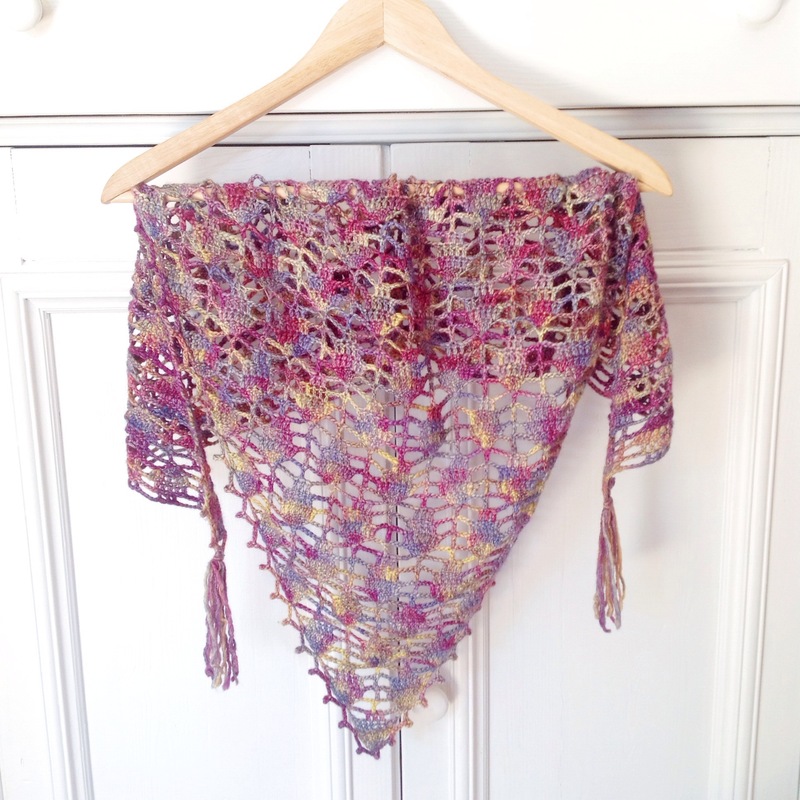 Remember six months or so ago I had a shawl design in Simply Crochet? 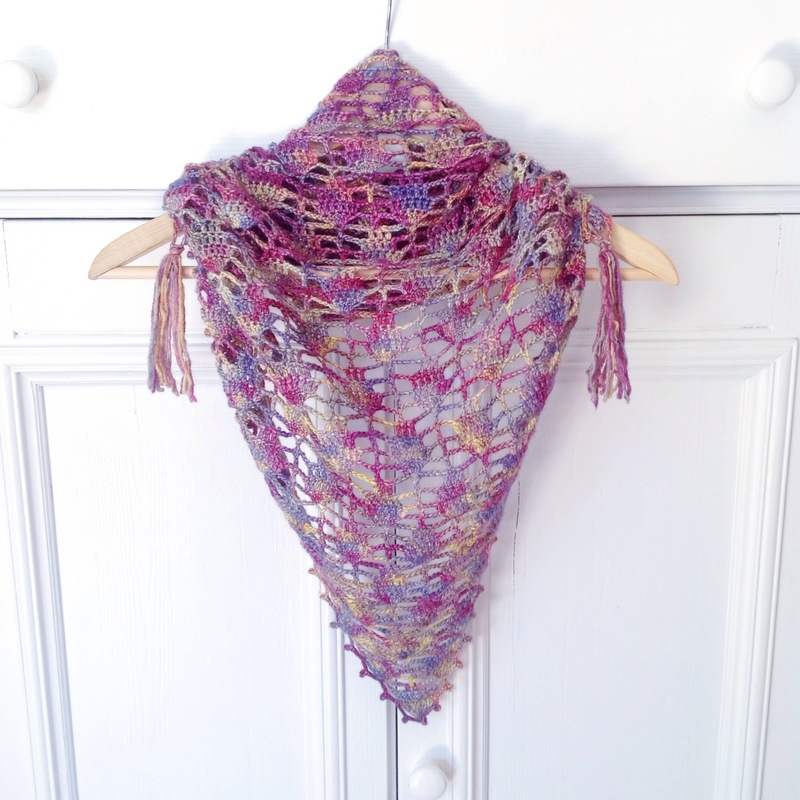 Well, after a few months, and loads of requests to be able to get hold of the shawl independently, now you can! Just this week I’ve uploaded the updated pattern to Ravelry, and this time it has a very helpful chart! I know there were quite a few of you who were asking for a chart, so I put one together. It was such an honour to be able to have a shawl design in a massively popular magazine, it was like the biggest confidence boost in the world. There’s nothing quite like the sense of achievement of seeing something that you’ve been able to bring to life out there in the wide wide world. The pattern is available for sale on Ravelry for €4.95 so go and grab your copy here. 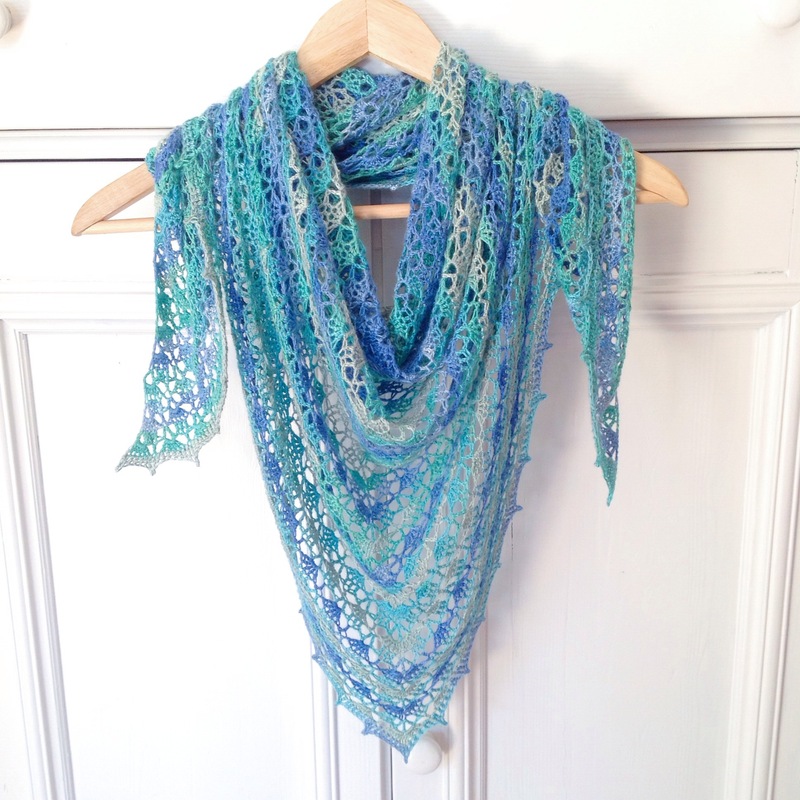 The shawl is made with a single skein of Scheepjes Whirl, and I’m sure you already have one of those lying around that is dying to be turned into a new shawl, right? And of course, don’t forget the many many Scheepjes retailers all over the place! I do hope you love making my Fade out shawl, and do share your projects on Ravelry and Instagram (using tag #obsessedwithcrochet). Stay tuned, next week is the launch of my free Braided Cowl pattern! Move over Kim Kardashian, I’m in Simply Crochet! Actually, I’m quite surprised I didn’t have to google how to spell Kardashian. But then, some things are so ingrained in pop culture we learn by osmosis. In the current issue of Simply Crochet magazine, there is an entire feature on the amazing Last Dance on the Beach CAL that I contributed to earlier this year. If you’re not familiar with the CAL, my friend Marinke was in the process of designing a CAL for Scheepjes when she passed away in 2015, and so twelve designers (and friends) banded together to finish what she started. The result was the Last Dance on the Beach CAL, with each week’s square created by a different designer, based on their own individual experience and inspiration. Simply Crochet contributor Judy Darley has written a beautiful feature about the journey that the designers have been on during this CAL, and how Wink had impacted our lives through friendship and design. I designed the square for week 5 of the CAL, taking my inspiration from the footprints that birds leave in the wet sand while they’re foraging for worms or snails left behind as the tide goes out. It has been such a privilege to be involved in this project. Marinke affected so many of us, in her crochet and even more so as herself. It’s not too late to join the CAL either. You can download all of the instructions here. Issue 49 of Simply Crochet is available now, and image credits for the snapshot of Wink and the title, plus the extract of a quote from me are from Simply Crochet. 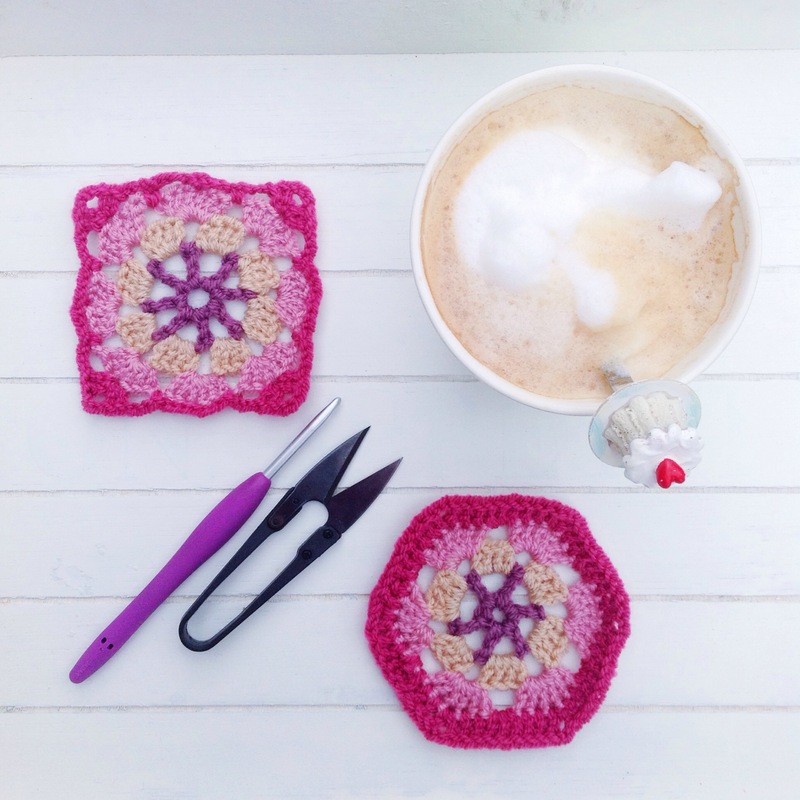 A couple of months ago Simply Crochet magazine launched a brand new Granny Square app which I discovered via creJJtion on Instagram and although I don’t often make Grannies – as you know, I hate weaving in ends and changing colours on each round creates a tonne of ends – I loved the pics people were sharing using the #GrannySquareMonday and #SimplyCrochetApp hashtags that I wanted to join the fun! Of course, it all went wrong right from the start! I decided to begin with Granny Audrey as she was the prettiest so far and off I went, following the chart. Or so I thought! Towards the end I started scratching my head wondering why it wasn’t looking like the picture until it hit me – I can’t count! Instead of creating a Granny Audrey, Hexie Audrey was born instead! I decided that I may as well run with it and added a border round so I at least had something to show for the effort before going back to the chart and actually reading the instructions and counting my stitches instead of acting like the proverbial bull in a china shop. But at the end of the day, I have to say that I like Hexie Audrey better than Granny! 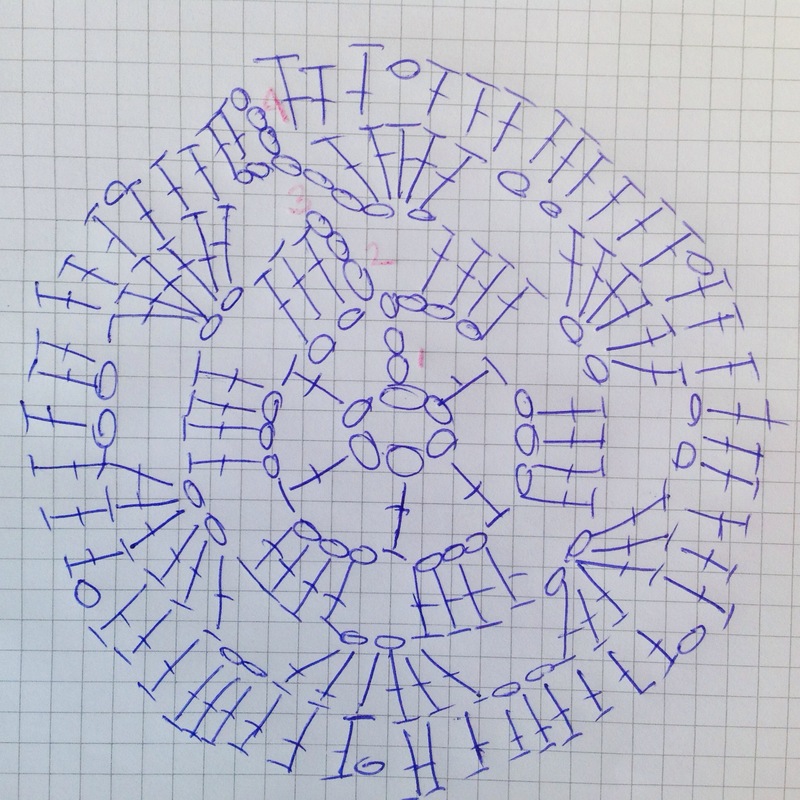 So just because I love the end result so much, I’ve created a chart of the pattern for you. Bear with me, chart making is NOT my forte, and I don’t have any fancy software to do it (yet), so my hand drawn version will just have to do. Two Shawls in a Week? I’m a bit late to the shawl game. I spent a long time making hats, scarves and amigurumis, and only really started making shawls a few months ago. Mainly because I just don’t have the patience for the big projects. But something has happened. Suddenly I finished two shawls within the space of a week! The first was a really quick project that I saw in a recent edition of Simply Crochet because I had some gorgeous Malabrigo Silky Merino that needed to become something, and the other was a Spring Shawl I promised to make my gran back in March! Gran requested a shawl in blues and turquoise, and I found the perfect bamboo yarn by Turkish brand Alize. The yarn is so incredibly soft and light and the drape is perfection. The weight is just perfect. It won’t slip of Gran’s shoulders and will be perfect for the chilly evenings as summer approaches in South Australia. I wonder if I can use Perfect in a sentence again..? It’ll be lovely as a scarf too. Isn’t the colour gorgeous? The only superficial complaint I would have is that perhaps the colour change is a bit too regular. I can see that it’s not hand dyed yarn, but I think the colour blend is beautiful. I found the yarn at yarnstreet.com which has a huge selection of yarns from Turkey, and has fantastic prices. 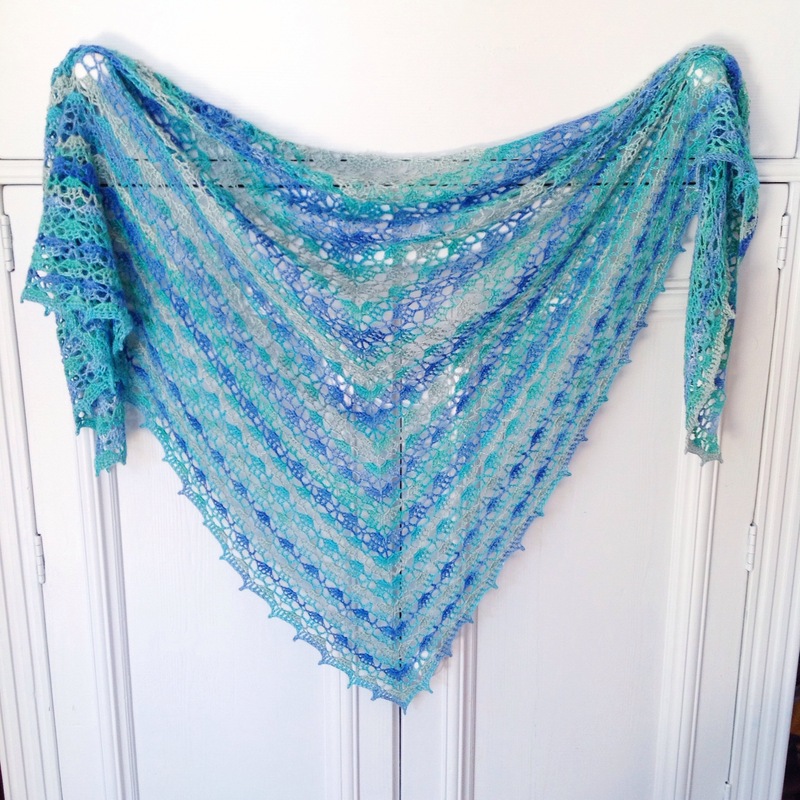 I used a 4.5mm hook and the yarn has loads of stretch, so when I blocked it the shawl almost doubled in size. I started it back in March, but so many other projects got in the way it took six months to complete! I have this habit of buying yarn for the sake of having beautiful yarn, so when I saw a shawl in a recent Simply Crochet edition I decided to give it a go to actually use some of it. I love design that works is way through, and the silky merino is really my favourite shawl yarn. I used a 4.5mm hook, and two full skeins of the Silky Merino. Before blocking the shawl was very small because my stitches are always so tight, so I really had to stretch it out while blocking. Now it has a lovely lavender aroma from the Eucalan I used. I’m not too sure what to do with it though. I already have more scarves than I can possibly wear, so I might put this one in my Etsy store. It’s a bit too soft though, I don’t really want to part with it.